Farewell to spring is commonly cultivated as a garden plant, and cultivated varieties are known. 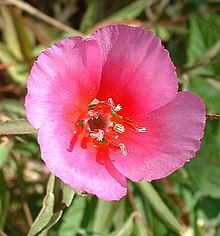 Wikimedia Commons has media related to Clarkia amoena. This page was last edited on 1 February 2018, at 04:19 (UTC).